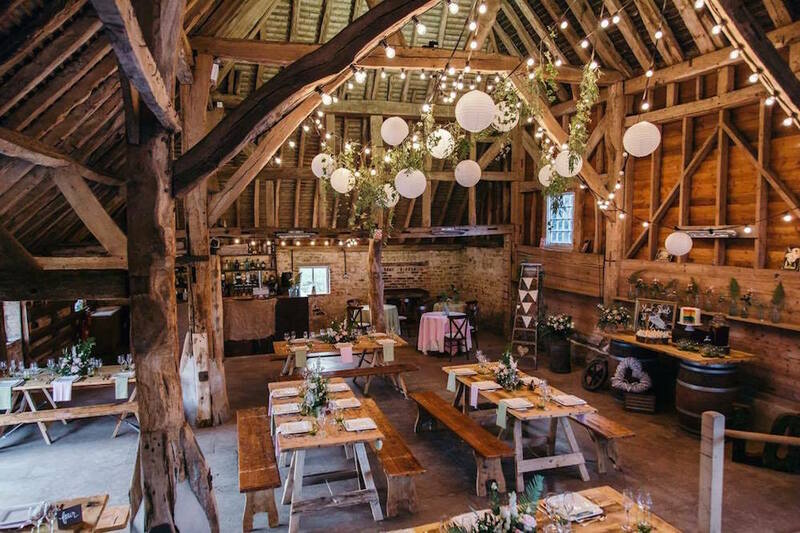 Muddy says: The most rustic of settings, this historic barn is perfect for festival-style weddings and other big bashes. Look out too for wine and gin tastings, BBQs and more. 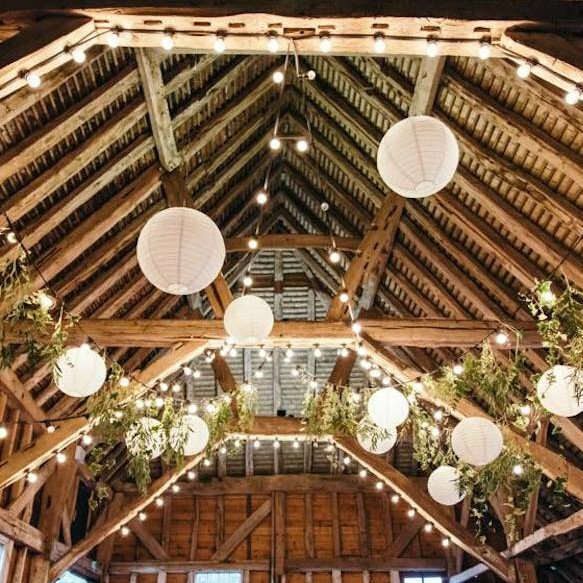 Following a loving restoration, rustic 700-year-old Chapel Barn opened as an events venue in 2016 at Bolney, near Haywards Heath, mid Sussex. The oak framed Grade II listed building is set on an organic farm with nearby lakes and bluebell woods. It is licensed for civil ceremonies and will hold 100 seated in rows and 80 -100 for dinner. There’s also a handy built-in bar and stage. Let the fun spill over into the surrounding lawn and fields with marquees, giant garden games and pop-up food and drink stalls and vans. Want to stay over? Up to ten guests can camp overnight, while the on-site 15th century farmhouse has three double bedrooms available for self-catering stays. A new addition is Winnie the vintage caravan that can be parked up by one of the lovely lakes in the grounds. Of course you don’t have to be tying the knot. 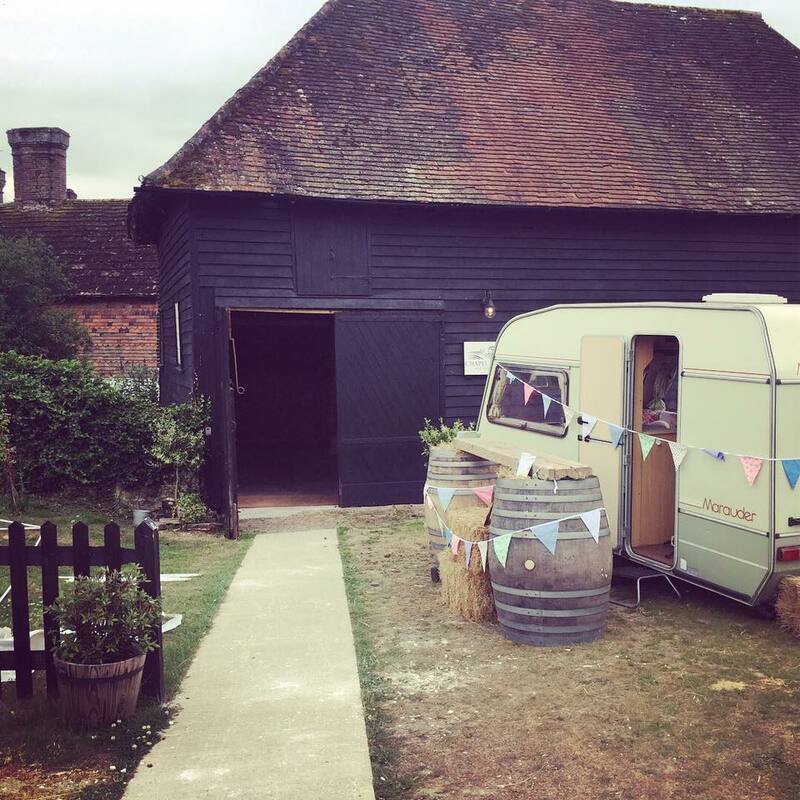 The venue can be hired for whatever event you fancy – in fact it hosted the 2017 Muddy Award winners’ drinks. It has also been used as a film location and for photo shoots. 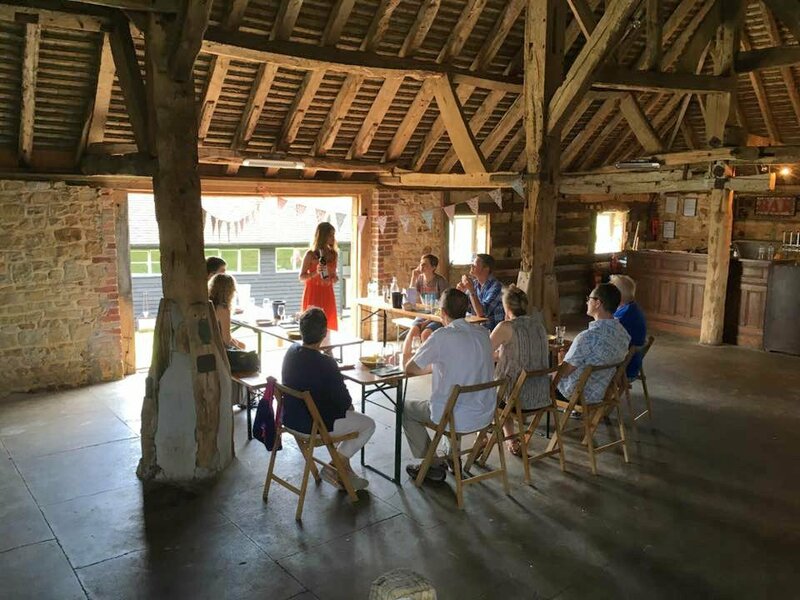 Regular pop-up public events also run at the barn including Mad Hatter’s gin picnics, cookery courses, barbecues and especially wine tastings with Chapel Barn’s Alicia Sandeman – of the Sandeman port and sherry family, so follow Chapel Barn on social media for the heads up. 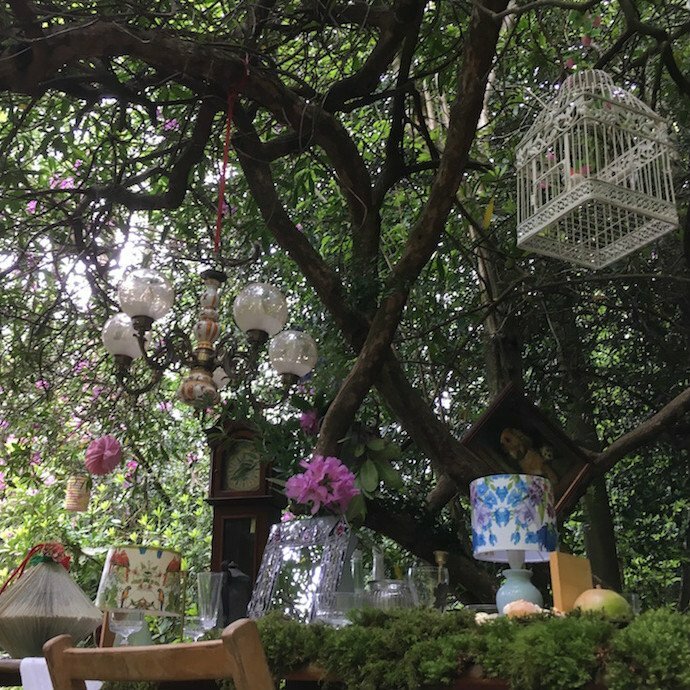 These events can also be tailor-made, so do speak to Alicia about that birthday or anniversary bash, hen party with a difference, or work Christmas drinks.